I’ve just registered on this site and am really disappointed to see that there really isn’t much activity on here. The posts which I’ve read are great but they’re very old and that is so disappointing. i am passionate about manufacturing, I know many of us are. We are hearing so much about the need for the Manufacturing Industry to lift this country out of the hard times and it’s fair to say that we are one of very few indusrties which are showing positive signs. Let’s get this blog more active. To be quite frank the decline in manufacturing which has happened over the past 30 years is something I could never understand, because as a young engineer I could only see that it would have an unhappy ending and I was right. So let’s get some cross sector chat going on this blog and let’s see if we can all do our little bit to use the industry, that we have worked in all our life, to make this country great again. Anything else is either subsidiary, irrelevant or “nice but useless”. Maximising value requires an excellent operating / management system. We’ve all heard of Lean and the Toyota Production System but many manufacturers don’t realise that this is only one part of the Toyota Management System. Here’s a challenge for you – put yourself in the position of a potential purchaser of your business, and walk the plant, trying to see everything through their eyes. Of everything that they see, what would genuinely cause them to pay more for the business? Let’s be controversial – too many manufacturers are still internally focused and cost-driven, led by accountants who “understand the cost of everything and the value of nothing”. They use Lean and Six Sigma primarily as cost-reduction techniques. Do you understand your customer’s business / market / industry as well as they do? Do you understand how they add value for their own customers? Do you fully understand their needs and wants and are all employees engaged in delivering value? Do you regularly undertake “value-add” visits to your customers, and do you take your engineers and operators with you? Great leaders are believers – they passionately believe in what they’re doing and they inspire others with their values and beliefs. They’re humble, keen to learn and they expect excellence where it matters. Great leaders are rare but they exist in all walks of life and in all areas of business, at all levels. They need to be encouraged, developed and trusted to excel. You can find other blog posts about Value-Driven Manufacturing here on the Manufacturing Times blog (helpfully categorised under “Value-Driven Manufacturing”! ), and you can find out more about Value-Driven Business at www.ValueDrivenBusiness. co.uk. Lean Manufacturing in a recession – add value or eliminate waste? 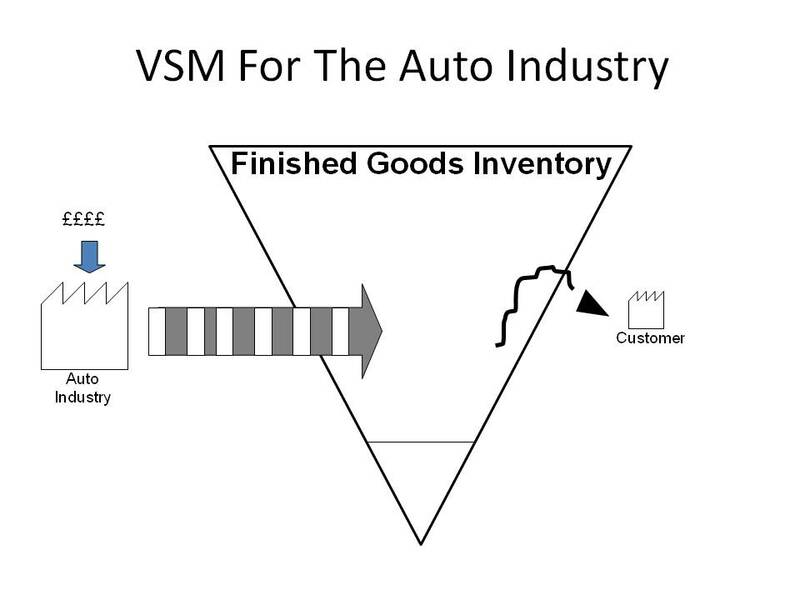 Most manufacturers are aware of the basic idea of Lean Thinking – “add value and eliminate waste” – but too many focus on the “eliminate waste” side of the equation and lose sight of the “add value” opportunities. In fact, one of the biggest hidden wastes is “unfulfilled customer needs” and a recession is the best time to tackle it. They don’t know what you could do for them. Henry Ford put it rather well – “If I’d have asked my customers what they wanted, they’d have wanted a faster horse!”. They don’t want to spend lots of their time and effort helping you to run your business better – they’ve enough work to do running their own business, thank you! Keep it brief. Keep it simple. It’s often better to know what 100 customers think about three things than what three customers think about 100 things. Offer them choices – if we can turn around your order in less than 48 hours, would that be worth having? Would a Ten-Year Gurantee be of use to you? Would it help if all of the tests were automated? Give them feedback – we’re planning to report on the survey results by the end of the month – would you like a copy? And – most important of all – act on what they tell you (then ask what they think and improve it again). We’re pleased to advise that MAS YH are now offering 75% support to all manufacturers in Yorkshire & Humber for all new projects effective from 6 May. This opportunity means that when you undertake an improvement project, for every £1.00 you commit, the government will commit £3.00. There is no better time to go ahead with your MAS project than NOW. Visit our website for more information on Lean Manufacturing and for our contact details. You’ve probably seen a number of “Ten Tips to Survive the Credit Crunch” articles recently, so instead let’s focus on what our most successful manufacturers are actually doing at the moment. You might not believe it if you watch the current TV news coverage but some of our clients are continuing to grow and to make money. They’re cutting costs in the short term but also investing for the upturn (which is when most business failures actually occur). In no particular order, here are some areas to work on. If you’re already doing these -well done! If you’ve got some ideas of your own, please post them here. If they’re new to you – look and learn (remember: Plan-Do-Check-Act). Demonstrate that you’re taking effective steps to manage through the downturn. Make it clear to everyone the two or three most important objectives over the next year and understand the benefits you will produce for your Customers, your Business and your employees (Cus, Bus, Us). For example – focus on reducing lead-times, eliminating waste (the Seven Wastes) and increasing value. Take a cold, hard look at what will add value over the next 12 months. Get rid of anything that won’t (products, plant, premises or people) and do it now. Cash is king and funding is hard or impossible to find. Free up cash by reducing your working capital – use Lean tools to reduce stock and work in process, slash lead-times and speed up your cash collection process. If you’ve got cash, pay suppliers promptly in return for reduced prices or extra value. If you haven’t, provide the same to your customers (see below). Look at ways in which you can do more for your customers – if you can, preserve prices but offer more value (get more value into the product and provide the best service you possibly can). Get closer to your customers – go see them, understand their business and help them get better. Train them to understand your products better and to use them more effectively. Use any spare time created to train people to perform better. Do this with a mix of new job skills (multi-skill the workforce if you haven’t already) and improvement skills. Make sure you’ve got an up to date skills matrix covering every single employee. Include all key skills. Specify how many people you need with each of those skills and identify the gaps. If you haven’t already, make sure that everyone understands the basics of Lean thinking, how to spot non-value-added activities and how to solve problems. Get free and/or subsidised training and support from national and/or local government schems (in the UK contact the Manufacturing Advisory Service www.mas.dti.gov.uk). Provide free training for your suppliers. Get together with other manufacturers in your region to share the costs of training (www.leanconsortium.co.uk), logistics, support services. Cut your costs and admin. overheads by streamlining all of your non-core purchasing (see www.fcprocurement.com). Glen Feechan of FC Procurement also has a blog which you may find of interest (see www.notjustnumbers.co.uk). Most of all, stay positive, focus on those things that you can do and don’t worry about those that you can’t.